It’s time for another vehicle story! This week, take a look at a an antique Ford 100, the predecessor of the ever-popular F150. 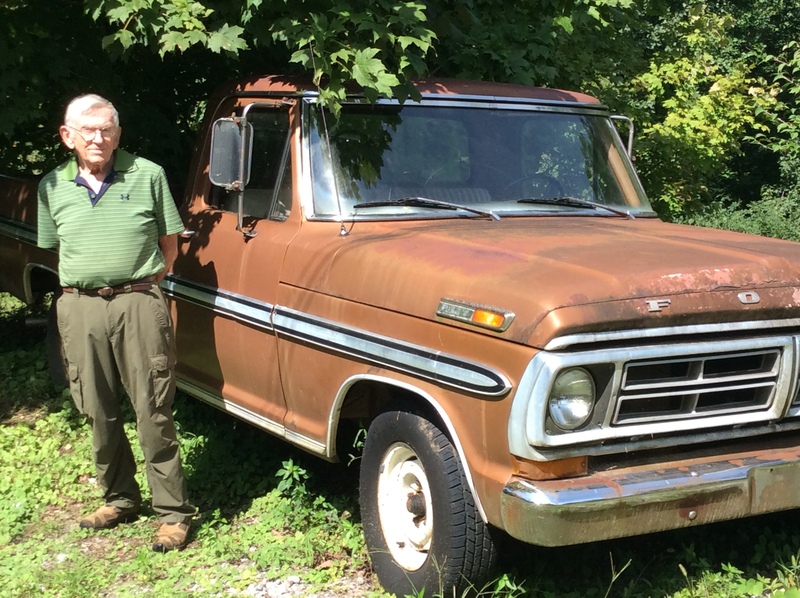 This timeless car has traveled tens of thousands of miles, and although the donor is no longer driving the truck, it is now driving Public Radio! Donate a car to NPR with Car Donation Wizard. This vehicle certainly made its mark in the local community before sponsoring radio programming. For the first few years after I purchased my truck from a neighbor, I used it for going to and from work. After that, it has been used mainly as a utility vehicle for hauling. Occasionally it was used for special tasks. The most unique of these was to transport donated furniture and household goods to the Ecumenical Storehouse, a warehouse manned by members of a group of churches in Oak Ridge, Tennessee. At the Storehouse, those in need could select what they lacked to furnish their household. For years, on Saturday mornings my friends and I would drive the truck around the area picking up everything from refrigerators and washing machines to beds, mattresses and sleeper sofas. The truck would sometimes be filled to overflowing. Once early in the operation of the Storehouse, a dedicatory service was held during which the truck was commissioned for its task. Not many trucks can say that its picture has appeared in the local newspaper receiving a priestly blessing! Your vehicle doesn’t need to have been blessed in order to support your local NPR station, but it certainly doesn’t hurt! Car Talk Vehicle Donations: Support WUOT! WUOT is East Tennessee’s “pre-eminent and credible source for news, information and entertainment.” It first began broadcasting back in 1949, airing classical music and educational content. In the 70 years since, the station has grown but continues to serve the community with daily programming. They seek to inform the public about local issues within the community, and connect listeners with useful resources. Listeners can tune in on their radios or even stream online! This antique Ford, and donations like it, help support Public Radio Stations across the country. You might not think that you can turn a car into radio, but with Car Talk Vehicle Donations help to drive Public Radio. 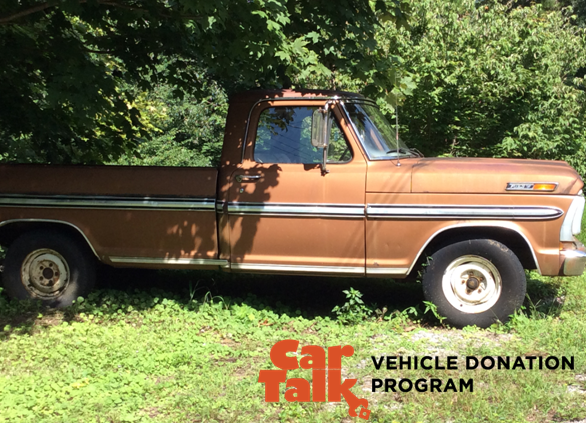 Our Car Talk vehicle donation program is easy as can be! We accept just about any vehicle, motorcycle, RV, boat, jetski, and even farm vehicles! Support your favorite NPR station, and trust that your donation will make a difference. We run the most efficient car donation program out there, and return between 75-80% of the gross proceeds from the vehicle’s sale. Get started today over the phone at 877-215-0227 or visit our website! Turn your car into the radio programs you love!